Are Old Skool Vans the New Stan Smiths? "Those are different for you," said my best friend, "I never expected to see you in Vans." She's got a point - I never really expected myself to wear Old Skool Vans. But who could've predicted the sheer capacity of people who would be spotted wearing Stan Smiths this time four years ago? Before they were the sneaker that bridged the mainstream gap between comfort and style, they were just tennis shoes. Adidas stamped tennis player Stan Smith's name on the shoes in 1970 and since then (and before then when Robert Haillet was the style's namesake) they've had a presence in the sneaker world. Quieter of course in the 1970s and 80s than now, but still present. 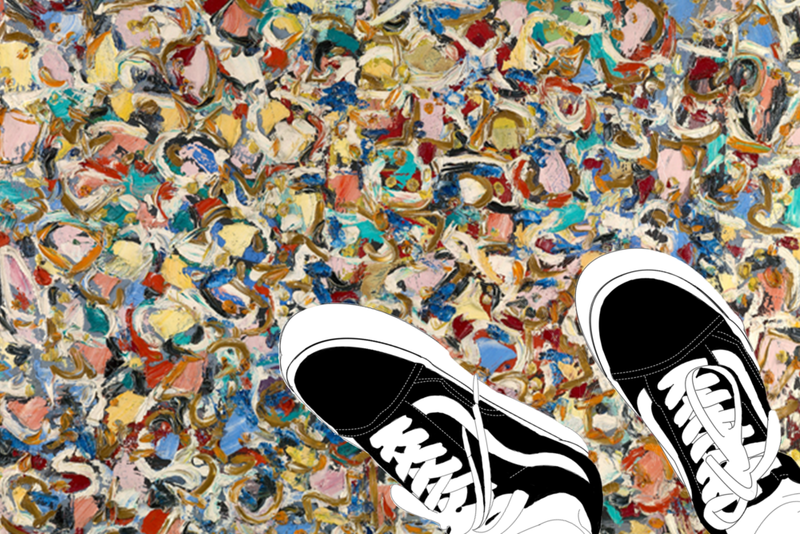 Vans is on another side of the sneaker spectrum; a shoe initially embraced by skaters but eventually one that permeated through punk music and culture (i.e. Vans Warped Tour). But the brand recognized that its customer base was extending out of their once niche market and began to design more female friendly styles in addition to collaborating with big name designers like Kenzo. The identities of both of these sneakers are quite different from one another. So to think, upon the shoes' inceptions, that they would one day be considered a 'universal sneaker' would have been a lofty goal. What I see in both of these styles is representative of the point that I think fashion is in right now. I don't want to completely undermine my argument by saying that I'm no expert, but I'm still going to go ahead and say it: I'm no expert. But even someone with a deep and long lasting interest in fashion and someone without one could confidently draw some strong and obvious connections between what lies behind the appeal of both of these shoes; they both originally had a strong identity that has become more malleable with time and with their growing popularity. They're also genderless. And this could be considered an outcome of their popularity or the cause of it. I think it's the latter, but we might not necessarily have realized it until after the fact. Regardless, it's cool to see how a shoe with a strong tie to a specific kind of wearer can become so mainstream. Really, really mainstream. It's also interesting to see how both shoes' relative affordability has made them accessible. So even though big name fashion designers like Marc Jabos and Phoebe Philo, celebrities/models like Kendall Jenner and Gigi Hadid were wearing Stan Smiths, you could buy them too. Well, if you could get your hands on them. Whether or not black Old Skool Vans will experience the type of popularity that Stan Smiths did is I think unlikely. But they have similar appeal: they're comfortable, affordable, and bring a cool-kid vibe to an otherwise 'stuffy' outfit. My favorite way to see them worn and to wear them is with silky wide leg pants, sturdy tweed pants, pencil skirts, and any and all denim.